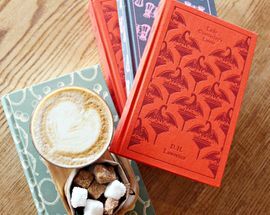 The combination of books and coffee is no new thing, but in recent years the cafe-bookshop has seriously come into its own with the coffee (or in many cases the wine) on offer attracting as much foot traffic as the literature on the shelves. Browse the aisles, order a coffee or glass of wine and spend the afternoon with your head stuck in a book at one of these great bookshop-cafes in Joburg. 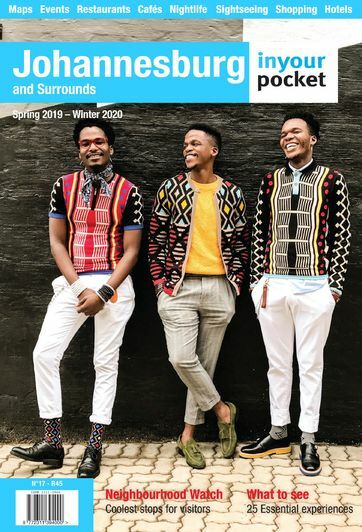 Downtown Joburg's newest book store sells new and second-hand books with a focus on works by South African and African writers. There's also a coffee bar and plenty of place to sit and read, making for an inviting atmosphere. The shop is located on the second level of a grand old building which used to be a bank and is in itself worth a visit just to admire the architecture. 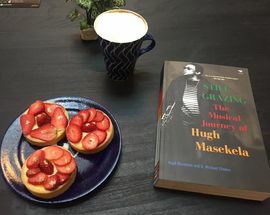 The shop runs various events including a series of writing workshops helping new writers develop their skills and showing them how to get published. Downstairs is City Central a weekday foodhall marketed at inner-city workers with a selection of food stalls serving burgers, pizza, dim sum and similar lunch fare. South African bookshop chain Exclusive Books's stylish Rosebank Mall store has plenty of comfy places to sit and read, including a well-stocked kids' corner with beanbag seating. 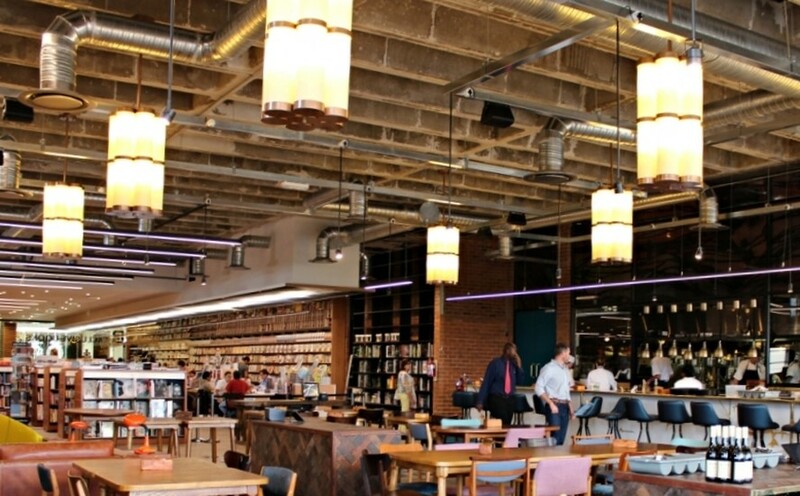 The long coffee bar at the entrance is a comfortable place to take time out with a book or meet with friends and abundant plug points also attract those with laptops in tow. Try one of their signature blends - the flat white with Ethiopian beans is excellent. There's also a good selection of pastries. 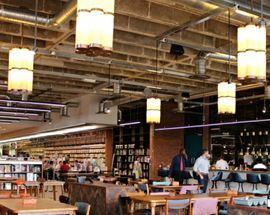 The large Hyde Park Corner branch of Exclusive Books not only serves coffee, there's also a beautiful restaurant and bar, EB Social Kitchen and Bar, in the back of the store with floor-to-ceiling windows looking out over the greenery of the northern suburbs. Headed by top Australian chef Russell Armstrong, the restaurant serves casual but sophisticated and utterly comforting contemporary fare designed for sharing. Meanwhile at the chic brass and tile bar there are cocktails inspired by literary classics such as The Secret Garden (Tanqueray Ten, rose, chamomile and lemon) and an extensive South African wine list carefully chosen by Carrie Adams of Norman Goodfellows Wine and Spirits Merchants. 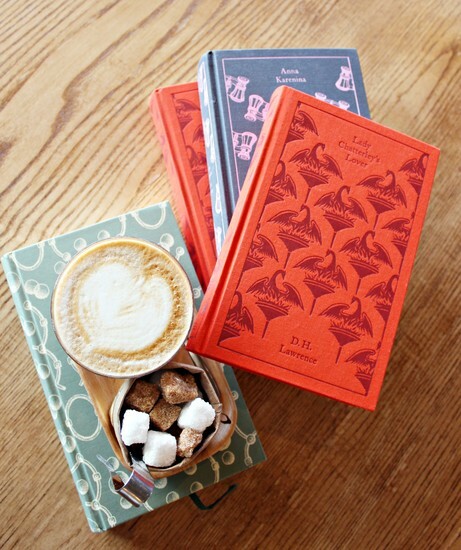 The serious bookworms can usually be found parked at the long table which adjoins the coffee bar (conveniently located next to the new releases and bestsellers) or kicking back in one of the shop's many armchairs. At 9pm on a Friday evening don't be surprised to find this place buzzing. Kate Rogan's Love Books independent bookshop in Melville lives up to its name. The selection of books displayed - general fiction and non-fiction as well as a great selection of South African titles - exhibits thoughtful and considered choices, award-winning books, books people are or should be talking about. With chairs for reading, and place for browsing Love Books is a welcoming space in which to while a way a few hours. The adjoining cafe Service Station is a popular neighbourhood hangout serving breakfasts, lunches, coffee and tea with a view over the rocky Melville Koppies. At lunchtime there's a self-service harvest table laden with a fresh selection of salads - pile up your plate and pay be the weight. 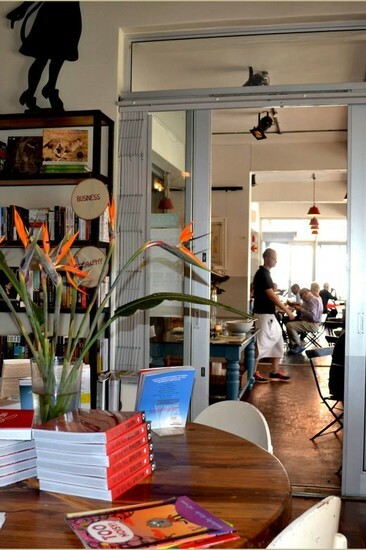 Love Books hosts regular book launches and literary discussions with leading South African writers. The brash casino and entertainment centre Montecasino is not the first place you may expect to find a bookshop and yet just off the entrance to the gambling floor is this two-storey 'theatre of books', complete with a ground floor coffee shop and a champagne bar on the upper level. The shop's contemporary concept features, such as a fish tank shaped like a pair of cartoon eyes and a baby grand piano, are as different from Montecasino's faux-Tuscan streets as can be. 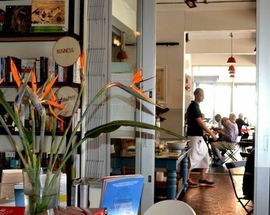 The bookshop hosts regular events such as book launches, poetry evenings and book club meetings.